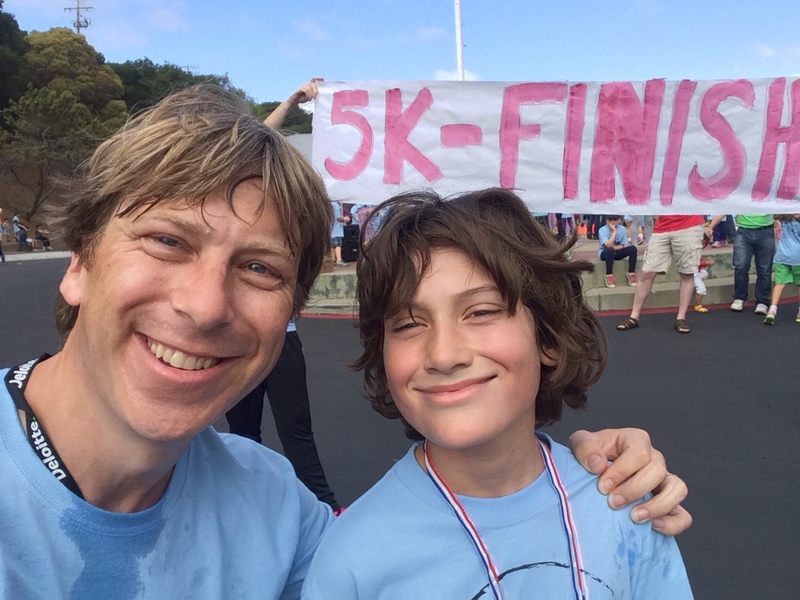 I promised my 9 year old son that I would run the school 5K fun run with him, little did I know it would clash with Oracle OpenWorld. I had a 5k run at 10am in Belmont and then a presentation to the OAUG GL Special Interest Group at 11am 20 mile sNorth in San Francisco. I was worried about the pace my son could do but we managed to average 9.5 minute miles even with a stop to tie a shoe lace and a lot of traffic of all ages and speeds. We had just enough time snap the picture below and then he went for the pancake breakfast with the rest of his friends and I ran another half mile to my car and headed to the Moscone Center. 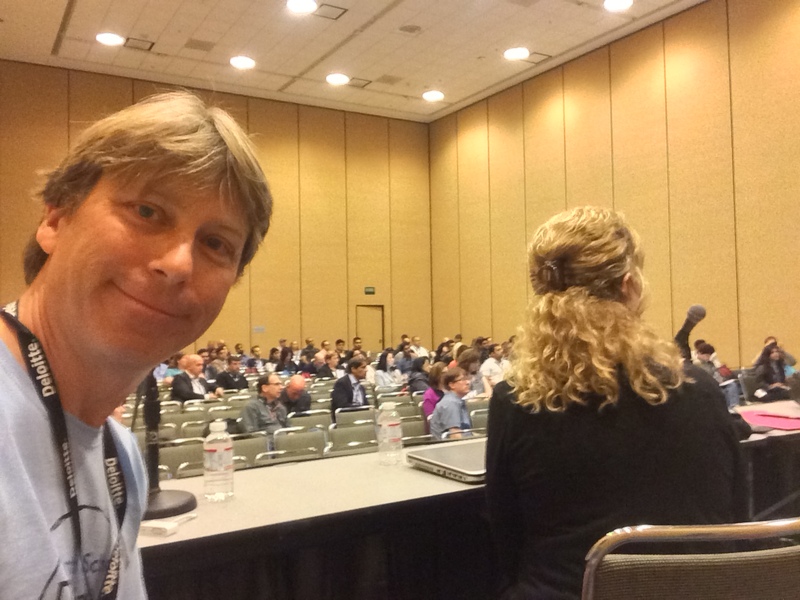 No time to change and straight up on stage, with 10 minutes to spare before I was due to speak. After that I caught up with a colleague who’s here from the UK over lunch and was home in time to upgrade my son’s home minecraft server to 1.8, write a blog and check on my demos for tomorrow’s Oracle Applications User Experience (OAUX) EXPO. No time to change, straight on stage and waiting to present. later this evening I was pleased to see this tweet from Steve Miranda, our EVP who is also balancing his heavy workload at OpenWorld with family commitments too. Steve makes time for family too. So all in all a good day, here’s hoping the rest of the week is just as enjoyable.